PRESIDENT Michael D Higgins has said the "dark days" of Ireland and the UK's relationship are "behind us" despite Brexit, as he kicked off a three-day visit to England in Birmingham on Monday. The Irish President expressed his "sadness" at Britain's decision to leave the EU but said relations between the two countries had never been more important. Speaking at Birmingham Town Hall, he said: "I wish to reiterate today that however the challenge of Brexit is resolved it will be more important than ever in the years ahead to sustain and build upon the deep friendships which have grown between Britain and Ireland. "We will still continue to live in the shadow of each other". President Higgins met with Birmingham Lord Mayor Yvonne Mosquito earlier before delivering his speech to leading figures from the business, arts and Irish communities in the city. He recalled the deep and lasting contributions of those who have emigrated over the years from Ireland to Birmingham, which is England's second most populous city. 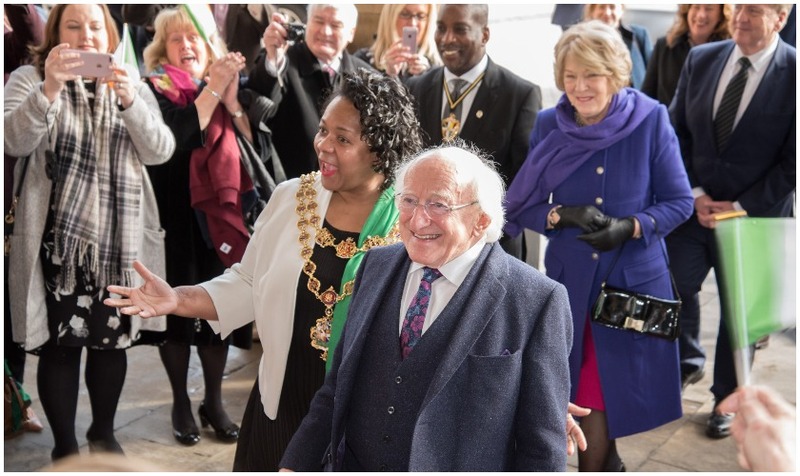 "As I make my first trip to Birmingham as President of Ireland, I am more than aware doing so that I am following in the footsteps of generations of Irish emigrants who left our shores and made their way to Birmingham, settling here and becoming part of the fabric of the city," Higgins said. The President commended the work of Irish men in the 1950s who "built so much in the region" including famous Birmingham landmarks such as the National Exhibition Centre (NEC) and the M6 Gravelly Hill Interchange - better known as Spaghetti Junction. Referring to the Birmingham Irish Association's We Built This City project, Higgins said: "In 2017, much of this history was brought together in the wonderful project, appropriately titled We Built This City. "Through this project you can get a sense of what it meant to these people to leave home, and how they went on to build their lives in a new city." The project, to which The Irish Post contributed, tells the stories of Irish workers who came to Birmingham after the Second World War through their own words and those of their children. 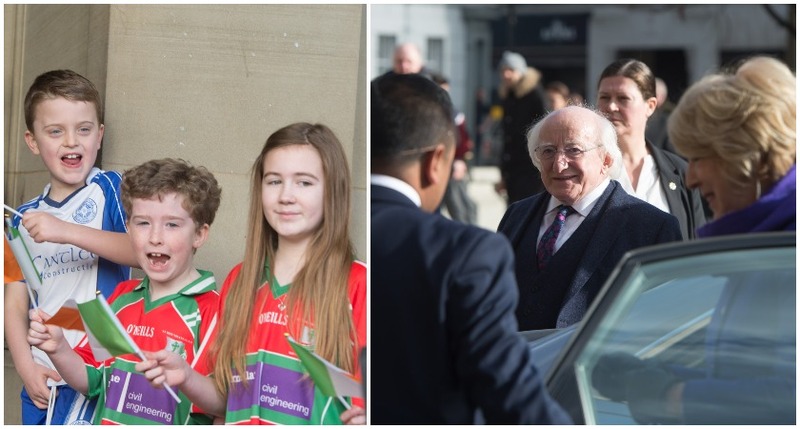 President Higgins also thanked the people of Birmingham for welcoming Irish people and their families into their communities, recalling how the city had been a "significant destination" for refugees fleeing the Great Famine of 1845-1849. Speaking about a memorial to the 21 people who died in the 1974 Birmingham pub bombings, he added: "I wanted to pay tribute and offer the respect of memory and sympathy to all of the innocent victims and their families and I do so as the President of Ireland. "I want to thank the committee of the Birmingham Irish Association who put in place this respectful memorial to their loss. "These dark days are now behind us. The relationship between Ireland and the UK is now one of co-operation, strength and friendship." 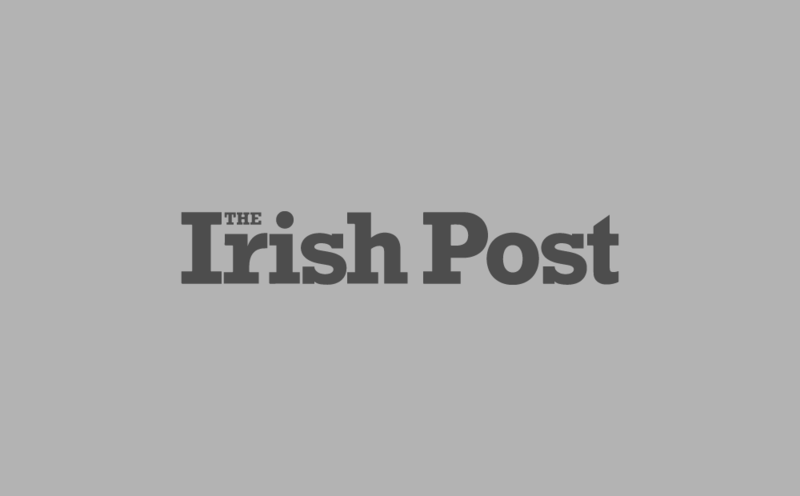 On Tuesday, President Higgins and his wife Sabina will travel to Liverpool where they will meet with Prince Charles and staff from the Institute of Irish Studies at the University of Liverpool. The final day of the trip on Wednesday will see the couple visit the headquarters of the Liverpool Irish Association, Liverpool Central Library and the Liverpool World Museum.